The Model 109920 1-Channel, 110V, Gate Receiver is designed for use in gate operator applications. An 11-inch wire whip antenna is included for local reception. The whip antenna connects to the receiver's Type-F antenna connector. 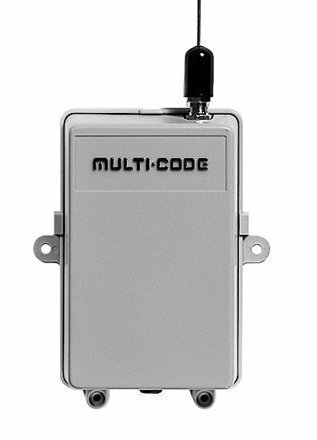 If the receiver is mounted inside a shielded metal enclosure, such as a gate operator housing, an external Model 106603 Remote Whip Antenna should be used.